One of the mostly instantly-viral furry phenomena this summer has been the “opening credits” for an anthropomorphic “80’s cartoon TV series” called Super Turbo Atomic Mega Rabbit. The “leaked video footage” certainly looked the part of an 80’s cartoon show, and speculation ran wild — especially with posts popping up all over the Internet on various forums, asking pointedly “Does anyone remember this series?” Well, more recently, the truth has come out: STAMR is the creation of a UK team of animators and animation fans. The “opening credits” were directed by Wesley Louis and his team. Now, having come out of hiding on the Internet, the STAMR crew are actually trying to create a real episode of the imaginary show they’ve made so popular. To that end they are selling copies of a book called Groundworks, featuring production art and character designs from the creation of the STAMR short. 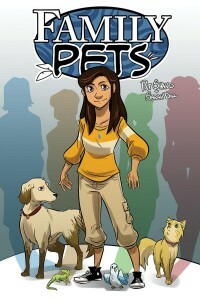 Furry.Today has a link to the site, as well as the short (which now features proper credits!). 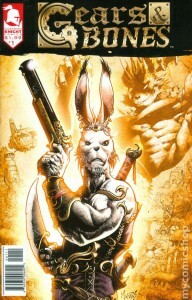 Somehow Marvel Comics sneaked this one by us. 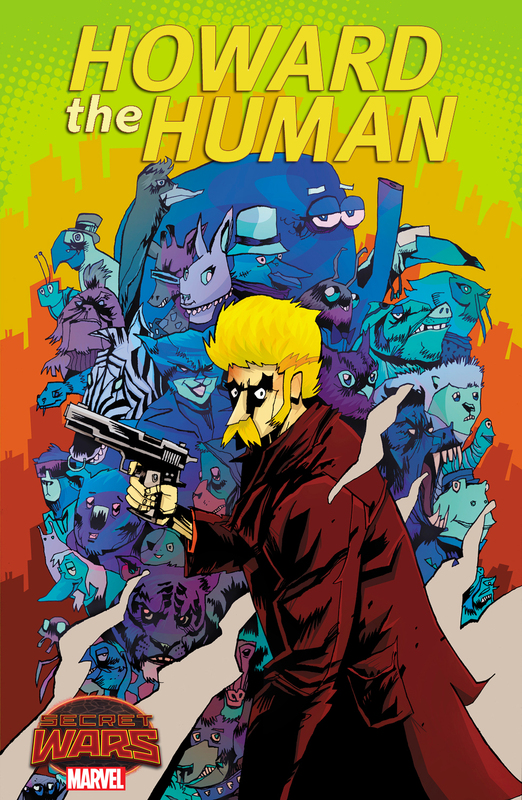 Howard the Human is out on shelves right now as part of their Secret Wars mega-series. “The story [finds] Howard, formerly a Duck, as a human being. What’s more, Howard will be the only living homo sapien in a city filled with animals. Talk about a role reversal. But that doesn’t mean Howard will have a ho-hum adventure. 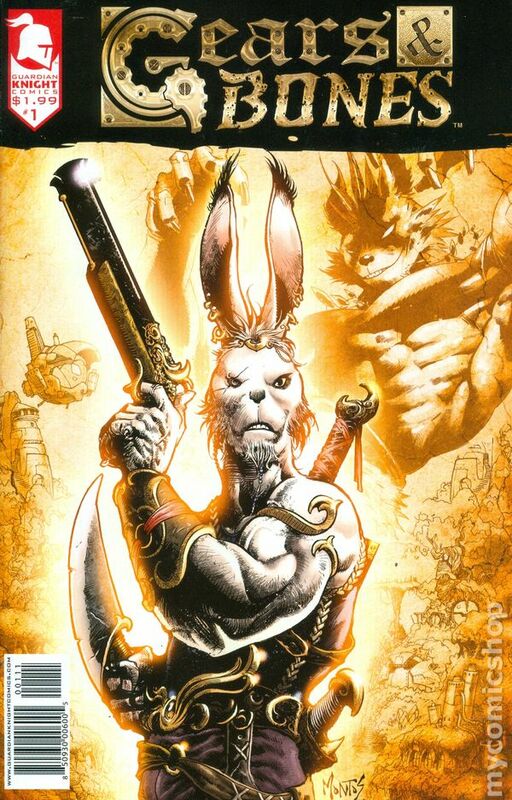 The former fowl will see plenty of cases as a private investigator, all while dodging bullets and crossing paths with a murderous anthropomorphic animal. Or, as Howard calls it, Monday.” This full-color one-shot was written by Skottie Young (well known now for Rocket Raccoon) and illustrated by Jim Mahfood. Read the interview with Skottie over at Comicbook.com. 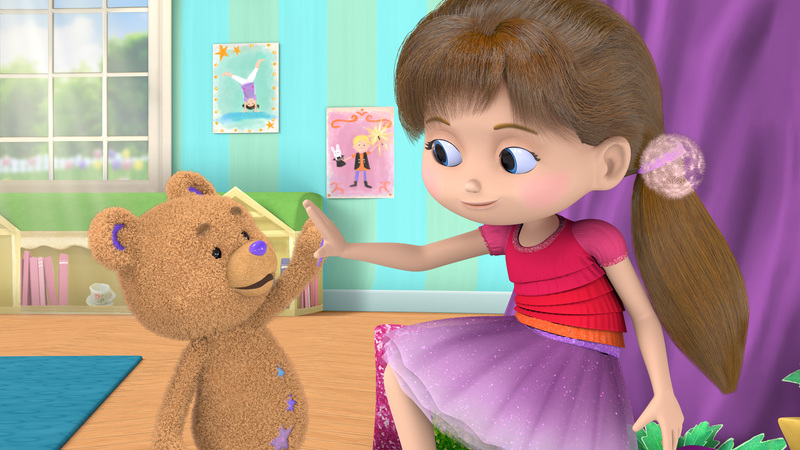 And once again Disney Junior keeps marching forward with Goldie & Bear, a new CGI series that is coming as a downloadable app in September and then a TV series later in the year. According to the article in Variety: “Each episode of the new program, which will debut on Disney Junior in November, includes two 11-minute stories that show Goldie and Bear — reunited after an infamous ‘porridge incident’ — in the midst of escapades with their neighbors in Fairy Tale Forest, all of whom have roots in familiar storybook figures. The protagonists might help Jack and Jill get up a hill or ask the Big Bad Wolf to consider others’ feelings before blowing down the houses of those who reside within.” The article also features interviews with Disney Junior folks and a preview video. image c. 2015 Walt Disney TV Animation. A Palace of Princess Pets. Perfect. 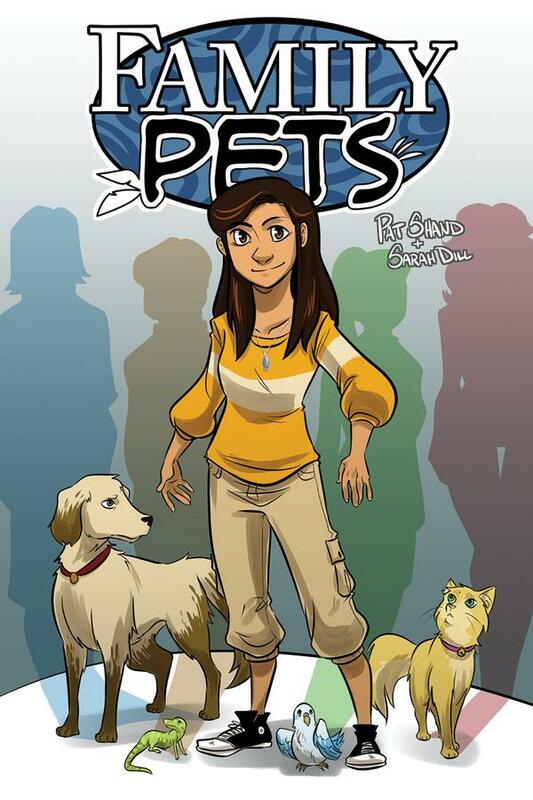 The Walt Disney Company found great success with their Palace Pets app — a down-loadable spin-off of the endlessly-profitable Disney Princess line, this time for younger kids. The idea is that each of the famous Disney Princesses has a cute funny animal pet, and they (the pets that is) often meet up and go on adventures together. 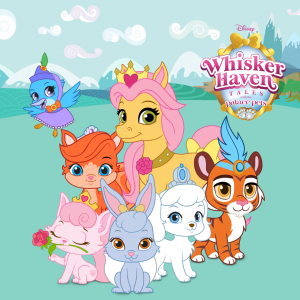 Well the success of that app lead Disney to now create Whisker Haven Tales, a series of cartoon shorts airing on Disney Junior. 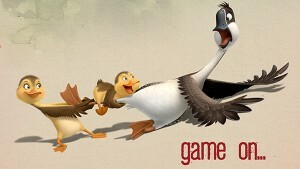 Check out the Disney Wiki article to learn more about it, or take a look on YouTube for one of several official uploads from Disney Junior. 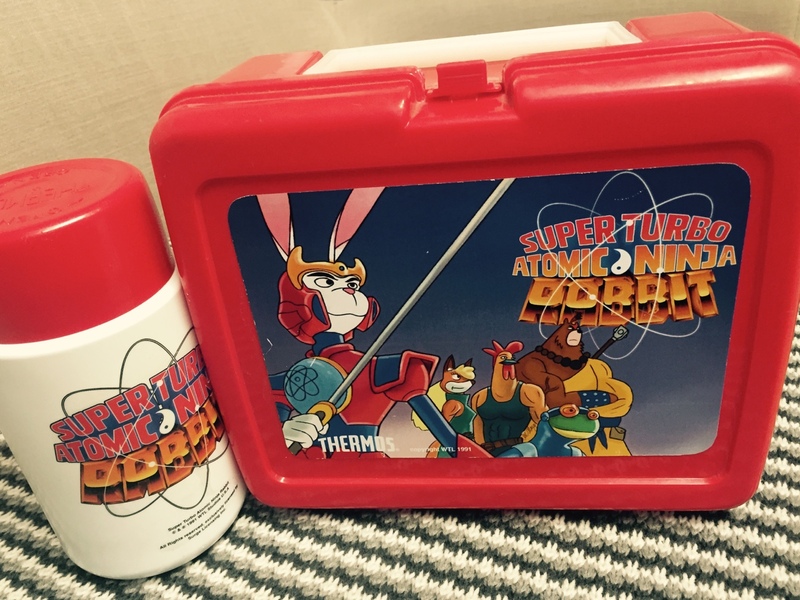 A New Dawn for the SWAT Kats? If you haven’t caught the word, creators Yvon and Christian Tremblay have been running a Kickstarter campaign with the intent of creating the first new SWAT Kats animated TV episodes to be seen in 20 years. 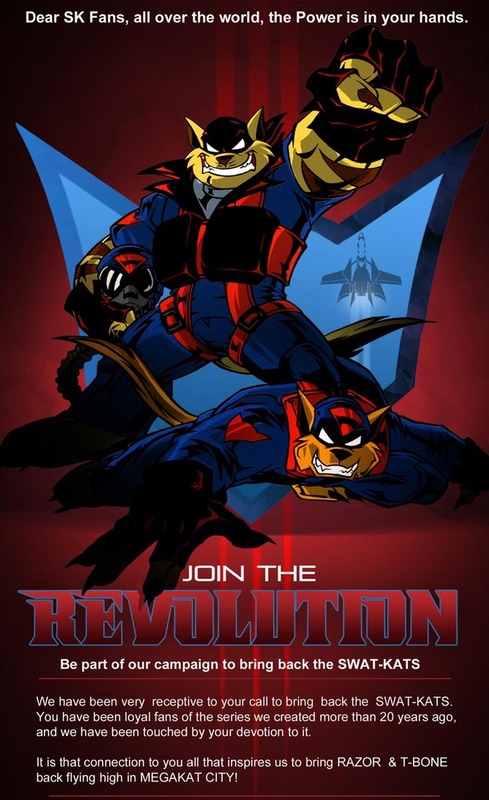 Also if you didn’t know: SWAT Kats — The Radical Squadron was one of the most iconic and popular anthropomorphic animated TV series from the early days of organized Furry Fandom. “The series takes place in the fictional metropolis of Megakat City, which is populated entirely by anthropomorphic felines, known as ‘kats’. 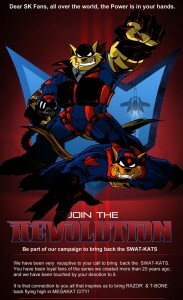 The titular SWAT Kats are two vigilante pilots who possess a state-of-the-art fighter jet with an array of weaponry. Throughout the series, they face various villains as well as Megakat City’s militarized police force, the Enforcers.” The good news is that with only a few days left for the campaign, the brothers Tremblay have more than surpassed their original goal. They’ve reached enough to animate a 2-minute animation teaser for the new series (SWAT Kats — Revolution), and they’re hoping to make enough to animate a full 22-minute episode. The campaign web site has a video interview with the brothers.